The Sandpebble is in the West End section of Long Branch and about 100 yards from the Boardwalk. 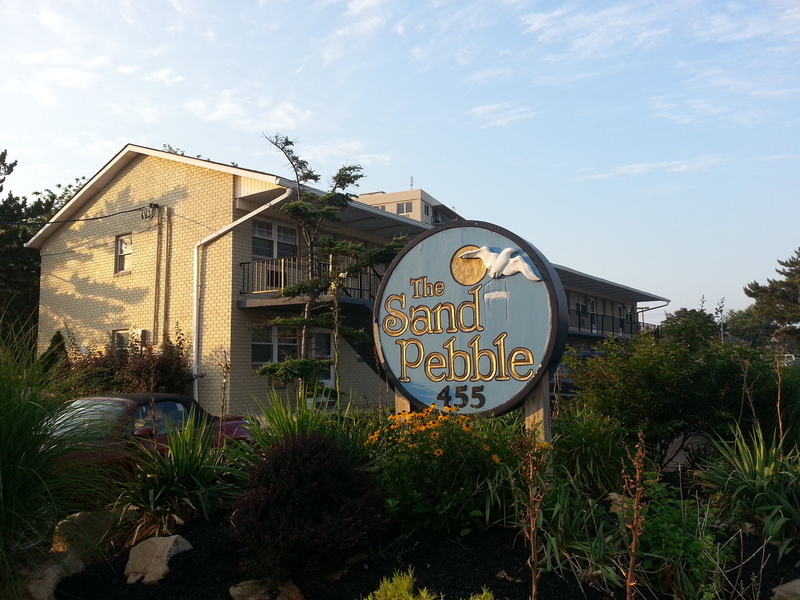 The Sandpebble is a pet restricted condominium community located on the east side of Ocean Boulevard at the intersection of Matilda Terrace in Long Branch, NJ. Built in 1970, according to tax records, there are 30 one bedroom apartments in three buildings, which form a horseshoe. Each building has a row of apartments on the ground floor and a row of apartments on the second level, with access to the second level via an outdoor staircase. According to tax records, each apartment has 540 square feet and one bath. In the courtyard formed by the three buildings, there is a barbecue area, which is available for all occupants to use. Although the apartments don't have a washer or dryer, there is a laundry room in the basement of the south building. Also in the basement of that building is additional storage for each apartment. 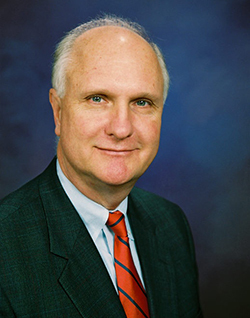 Each apartment has one assigned parking space in the paved parking lot. One of the outstanding features of The Sandpebble is it's location on the east side of Ocean Boulevard and about 100 yards from the Long Branch boardwalk. Both Pier Village and the West End stores are within walking distance. 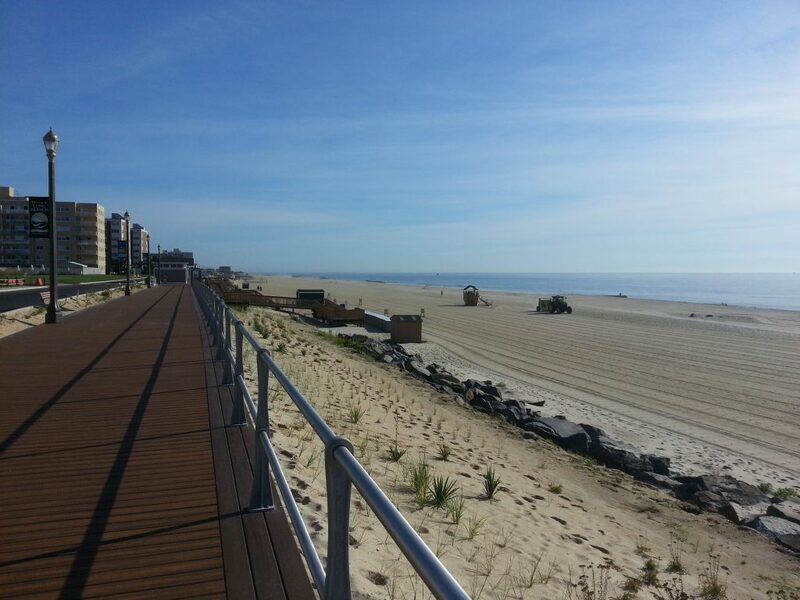 The rebuilt boardwalk and beach access are less that a block from the Sandpebble. 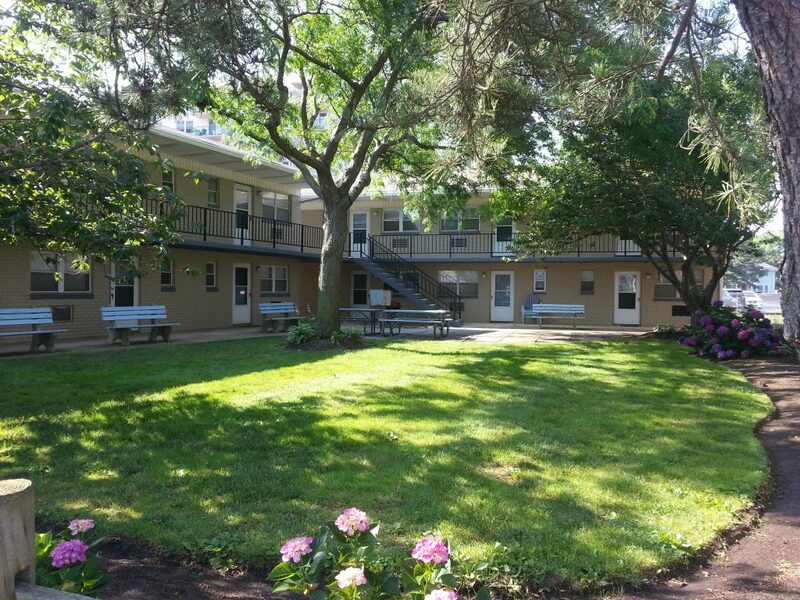 After spending a day at the beach, you can relax in the shade of the Sandpebble courtyard.